Jim Kingery, 83, of Carmi, passed away at 7:23 p.m., Thursday, March 21, 2019 at the Linda E. White Hospice House in Evansville. He was born in Emma, IL on October 25, 1935 the son of Everet and Jennie (Walls) Kingery. Jim married Imogene Cain on June 16, 1956. He was a 1954 graduate of Carmi Township High School. Jim worked for Harold Cox for many years and later retired from FS as a fuel truck driver. He loved woodwork, loved spending time with family and watching his grandchildren play ball. He was a member of the Cherry Street Baptist Church where he also managed the food pantry. Jim is survived by his wife of 62 years, Jean; daughter, Jan Columbia, of Albion, IL; four grandchildren, Cheyanne (Josh) Lemke, Jake Columbia, Austin Vanblaricum and Jarod Columbia; and three great-grandchildren, Tristan Feldman, Tucker Lemke and Alexis Lemke. He was preceded in death by his parents, Everet Kingery and Jennie Pearce, step father, Lee Pearce and a daughter, Judy Vanblaricum. 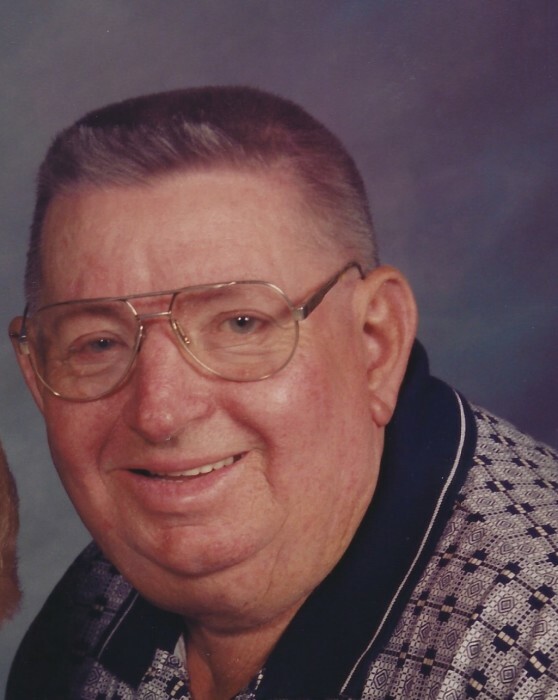 Funeral services for Jim Kingery, 83, of Carmi, will be held at 2:00 p.m., Sunday, March 24, 2019 at Cherry Street Baptist Church in Carmi. Burial will be in White County Memorial Garden in Carmi. Visitation will be from 12:30 p.m. until service time at 2:00 p.m., on Sunday at Cherry Street Baptist Church. In lieu of flowers, memorial contributions may be made in Jim's memory to Cherry Street Food Pantry and will be accepted at Campbell Funeral Home in Carmi who is in charge of arrangements.